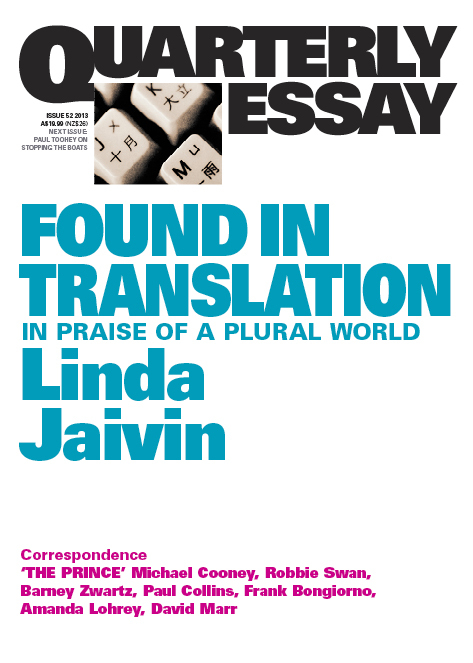 Linda Jaivin, Found in Translation – In Praise of a Plural World, Quarterly Essay, Issue 52, 2013. 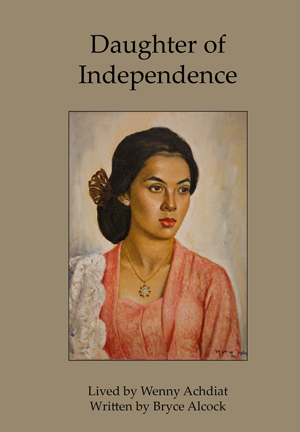 Jaivin is a skilful writer: her essay is light and witty yet strongly argued with research leavened by enlightening anecdotes, so that when readers reach the above declaration they will find it hard to disagree. In 1968, 44% of Australian year 12 students studied a foreign language. Currently only 12% do. Jaivin chronicles the rise of the idea that foreign language study is unnecessary because English has become the global language, and also because of machine translation. She demolishes both of these reasons. In particular she attacks the neoliberal argument that we should do away with anything that doesn’t have an immediate economic benefit. Such an argument is nonsensical even by the narrow cost-benefit calculus of neoliberalism – even the greediest capitalist should be able to see the benefit of understanding others as much as they understand you. Apart from hurting our economic interest, such attitudes ignore the wider value of learning other languages: what it can teach us about ourselves. It opens another window onto our lives and helps us understand other ways of being human. I am grateful to the teachers who, despite my lack of any gift for languages, helped me learn enough Indonesian to enable much deeper experiences during my visits to the country and to develop friendships, some of which have endured since my first journey to Indonesia in 1973. Without these teachers and friends my life would have been much the poorer. 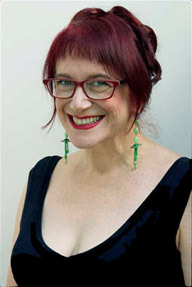 Linda Jaivin shows us how to remedy a major deficiency in Australian education and culture. Is anybody listening? Thanks for the link Bryce. Hopefully the more of us who review the book the more will listen … Or will it just be the converted? I liked how Jaivin, as you clearly agree, argued that learning foreign languages has both practical and more esoteric or non measurable benefits. Thanks, Sue and Lisa. I’m hopeful the essay will stir at least a few into action, but disappointed that it has not been more widely reviewed. Google searches are highly conditional, but the only reviews that come up on my search are both of yours as well as mine. Where are the print media? Oh, you can’t expect anything from the old media at this time of the year. It’s the B-team who are running things at the moment and they’re only interested in sport.